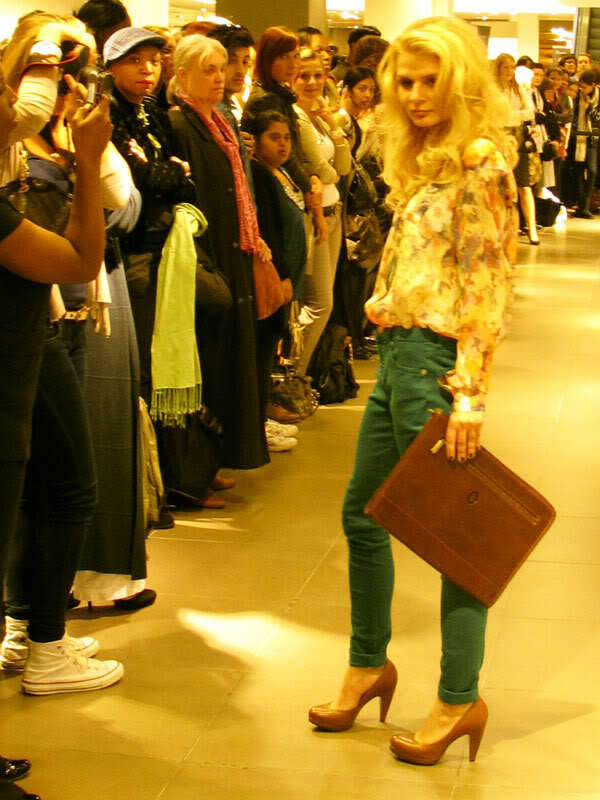 On Thursday I was lucky enough to be invited along to a host of Fashion’s Night Out events in London. Usually, attending events in London is difficult for me as I live up north. I travel to and from London regularly and am practically on first name terms with the East Coast train guards, but it’s always better to have a base in the city to head back to after a hectic day in heels. So I was delighted when Premier Inn offered to swap my uncomfortable train seat and soggy panini for a bouncy bed and fluffy pillow. I stayed in the County Hall hotel which was spotless, well-equipped and perfectly placed for exploring London. I’ve stayed in countless budget hotels on my travels across the country and County Hall is one of the best I’ve visited – it impressed me both inside and out. After a quick change and a bottle of bubbly, Rachel and I headed to Oxford Street to kick off Fashion’s Night Out at John Lewis. First we were treated to an OPI manicure by the lovely Mercedez, then after taking a million photos of Mischa Barton (who was in store to promote her handbag range), we headed upstairs for the AW 11 fashion show. The gorgeous girl in the Chaplin-inspired outfit did a dance at the end of the catwalk! 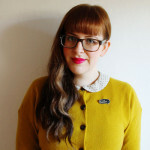 My favourite outfits were a mix of 40s and 60s influences with touches of androgyny and oversized accessories. I love the tea dress with leather accessories and the patterned tights – sure to become staples in my winter wardrobe. 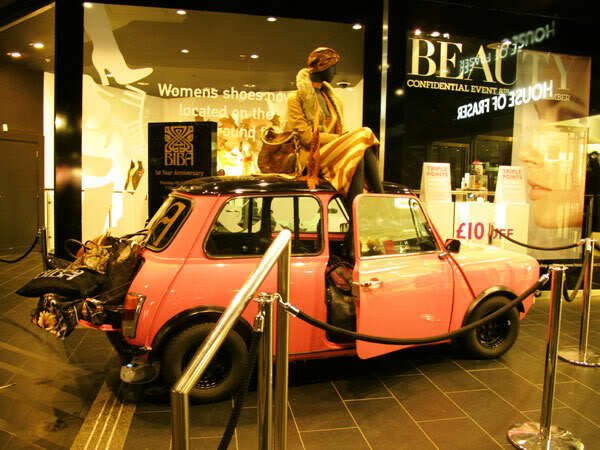 To see more from the evenings, take a look at the video of Fashion’s Night Out created by John Lewis, featuring some fabulous bloggers sharing their thoughts on the big trends for Autumn/Winter 2011. After John Lewis we stopped at Yo Sushi for sartorial sustenance then powered on down Oxford Street, stopping at Selfridges and Topshop for champagne, music and some shopping. 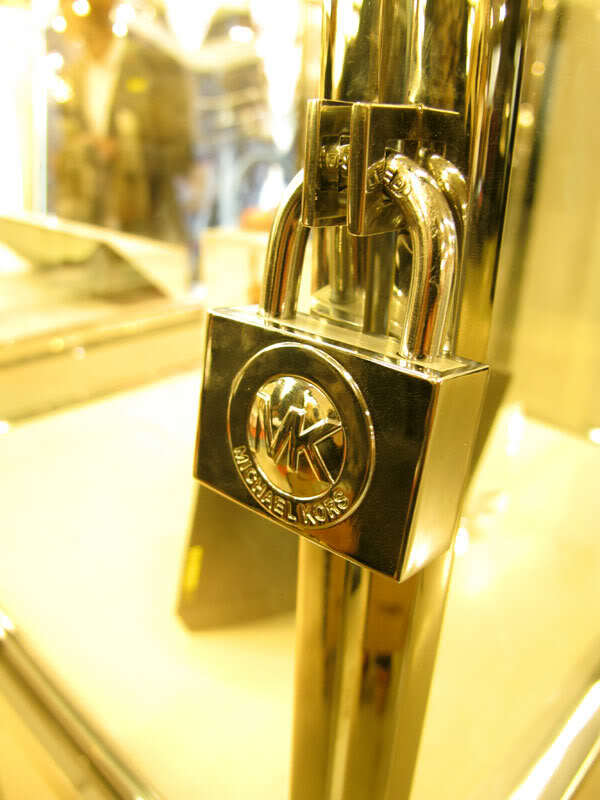 At Michael Kors in Selfridges, there was a 70s houseparty theme as we picked keys from a bowl… the winning keys opened the padlocks to reveal a shopping spree, an iPad2 and a trip to New York. Sadly our luck was out! 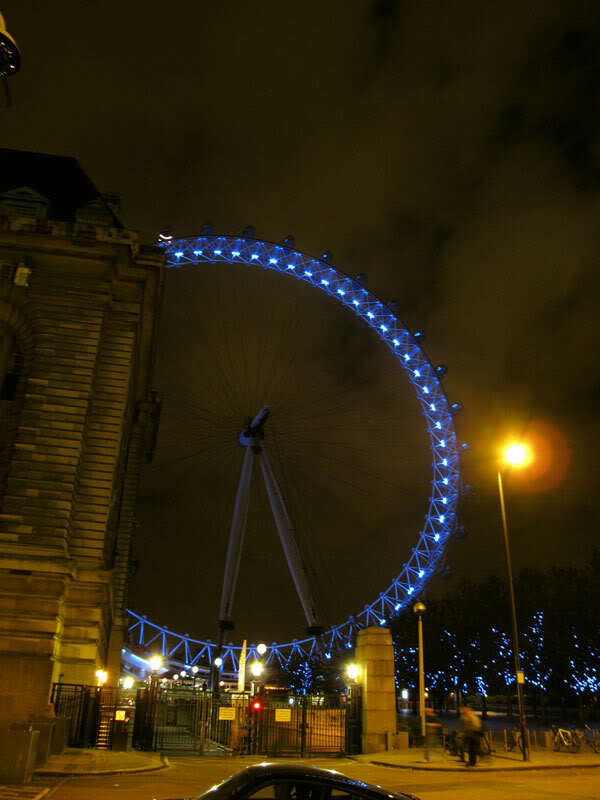 With achey feet and swimming heads we finally made it back to our hotel, with the London Eye (which I unashamedly adore) lighting our way. Thanks for having me, London – see you again soon for Fashion Week! I love the original Mini! Looks fabulous, love the 40s influence too. And your yellow clutch! You really can’t beat a Premier Inn when it comes down to value either, that dressing gown on the bed also looks super comfy! Awesome post. Fashion shows look very exciting I want to go to one in the near future. I also like that liberty building the architecture is beautiful! 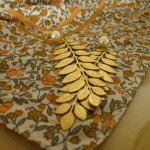 Great blog yours is definitely one of my favorites! Great summary post. Looks like there were some great events on offer. Can’t wait to get involevd in fashion week now! I was in London that week, wish I could have attended some of the events going on. 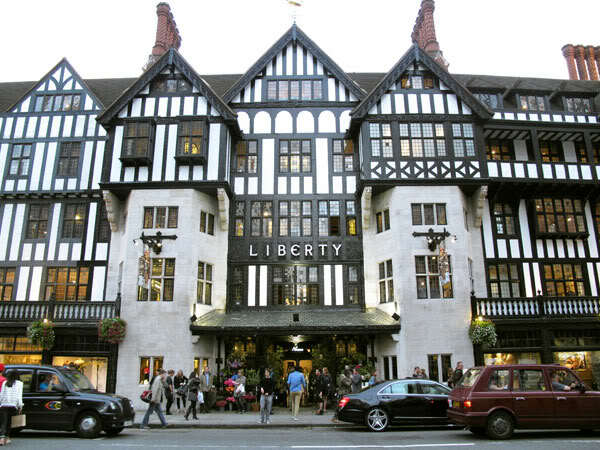 I could spend hours and hours in Liberty, it’s the most incredible shop. 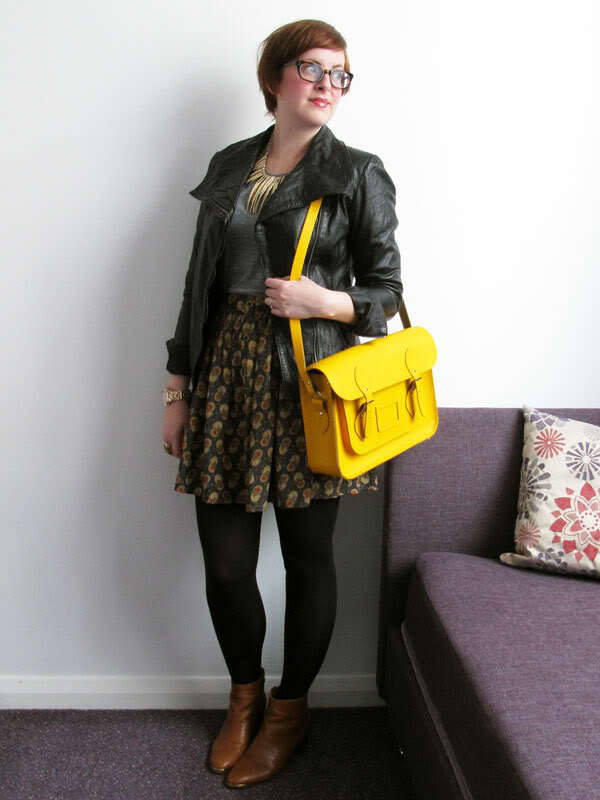 Still lusting after your satchel too! Wow Jen, this looks like a massive highlight. I am so very jealous of the Mischa Barton sighting, I LOVED the OC more than words can describe, Mischa was my style icon for the full duration. I love Liberty. It’s such a beautiful shop! So jealous of your trip! Love the idea in Michael Kors, how lucky was the winning keyholder!! You and Rachel look gorgeous. really love your satchel! i’ve been looking for one like that for aaages. 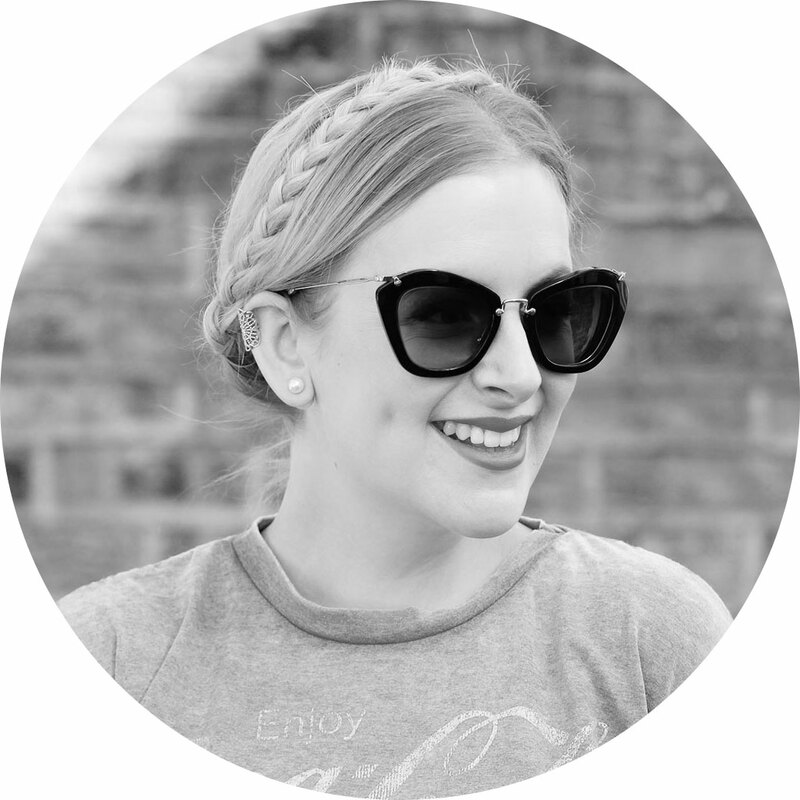 love your blog, by the way – really inspiring! Oh wow Mischa looks great!